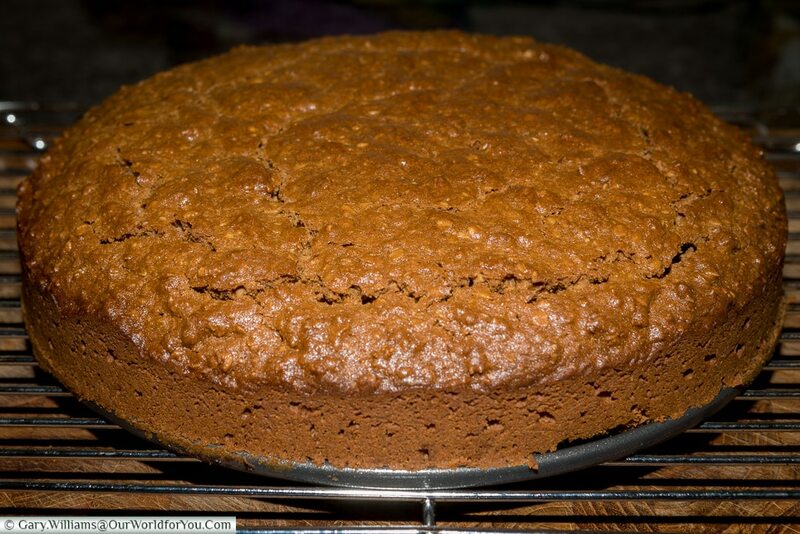 Parkin is a spicy, dark cake that comes from the north of England. It’s origins are lost in time but it’s widely believed to be from that great county of Yorkshire. 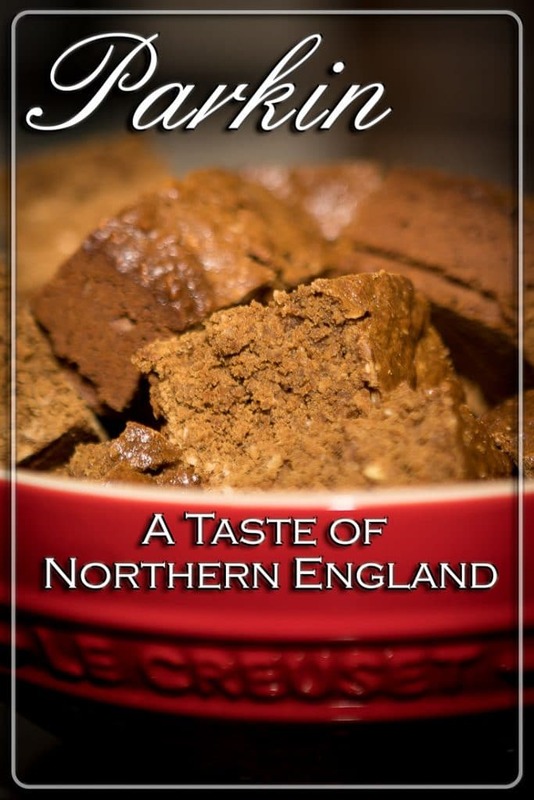 Traditionally eaten on Bonfire night (5th November), however it’s too good to reserve for just one festivity. So as a Southerner, it’s not something we were brought up on. 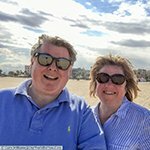 It’s a product of our love of travel. This recipe is heavily based on one of Yorkshire’s finest chefs, Brian Turner and can be found in his book Brian Turner’s Favourite British Recipes. 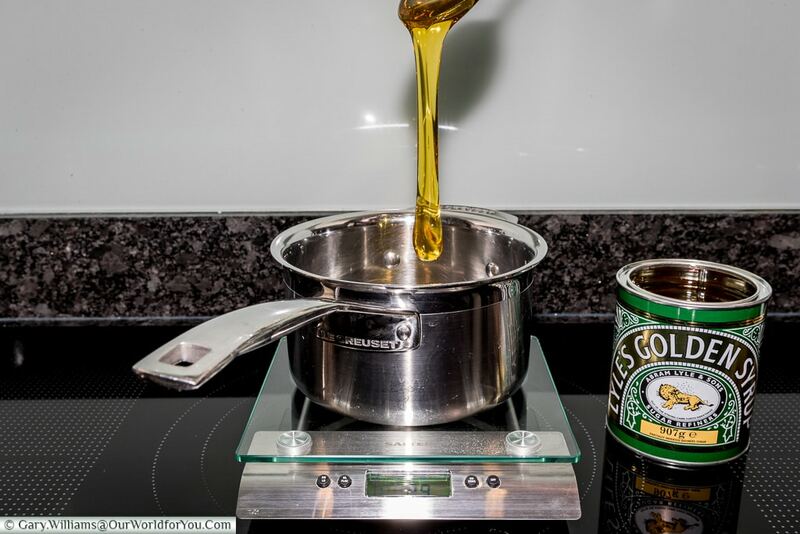 * If you can get British Golden Syrup & Black Treacle then that’ll be ideal. 1 – Preheat your oven to 160C/ 325F/Gas Mark 3. Reduce accordingly if it’s fan assisted oven. 2 – Now butter your cake tin. I use a 20cm/8″ springform round cake tin. You can, of course, use a square dish but line it with greaseproof paper first. 4 – Spare bowl for the Kitchenaid time. On the lowest speed setting, with the whisk attachment, mix the egg & sugar. 6 – Now fold in the beaten egg mixture to the flour & oatmeal. Once that’s combined, add the warmed syrup mixture. You’ll then have something resembling a good concrete – don’t worry this is normal. You can add a couple of tablespoons of milk to loosen it if you wish. 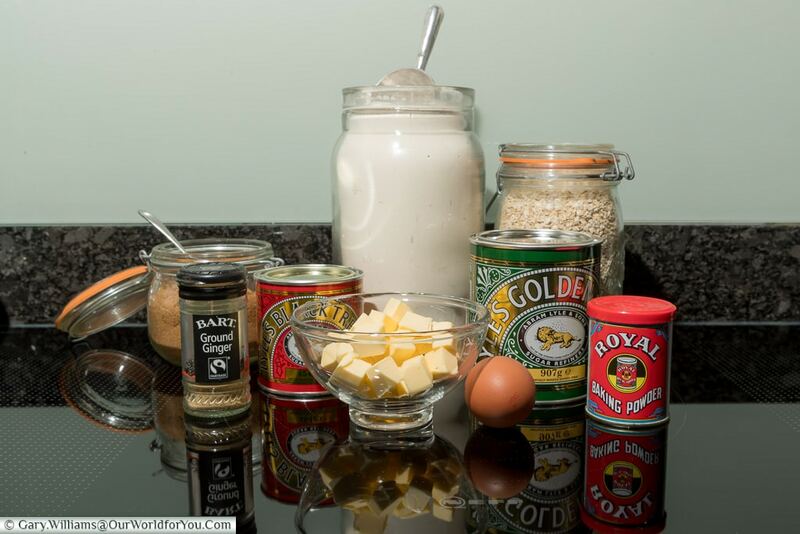 7 – Pour the mixture into your baking dish and bake for one hour. Test the mixture by carefully running a wooden skewer into the centre. If it comes out clean all good. If not pop it back in for another 10 minutes and retest. 8 – Once cooked let it cool slightly and pop it out of its baking tray and let it cool for an hour. Cut it into squares (about 5cm/2″). 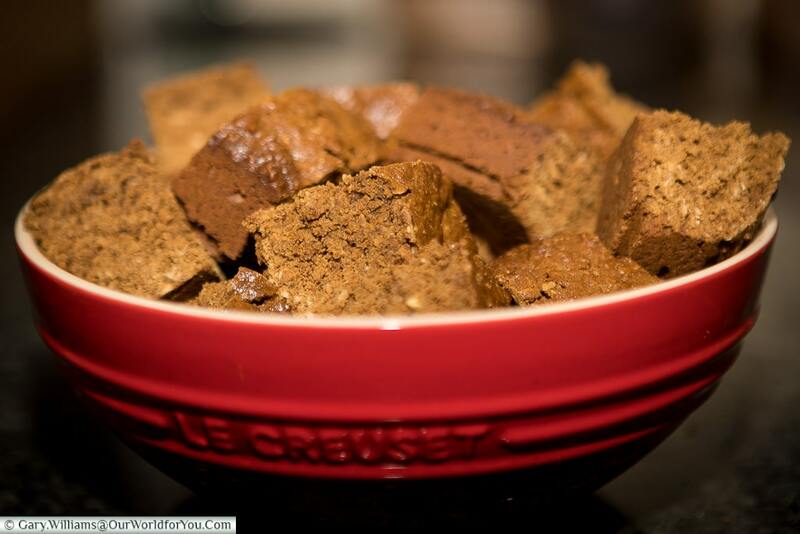 Now the difficult bit – Store in an airtight container for around a week to allow the flavours to develop, and the Parkin to moisten slightly. Now were you good, did you wait a week? Probably not! 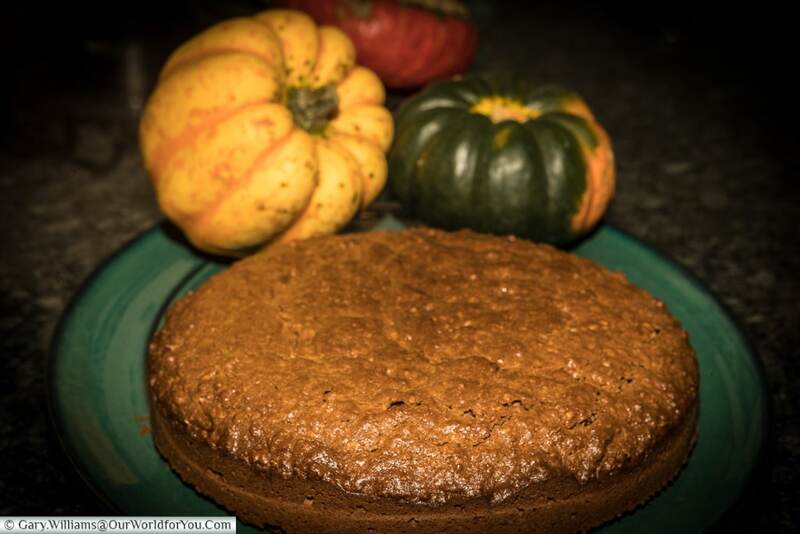 Tried Parkin – or is it a favourite of yours? Something from the childhood, or a late discovery? Those things that we can touch, taste, smell, see or hear that can transport us back to a trip, or invoke a memory.